Service performance is continuously monitored from five key locations around the world and reported real-time with historical data as well as a 12 month rolling average of system availability. 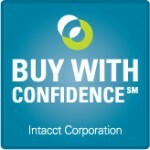 The Intacct “Buy with Confidence” Guarantee promises 99.8% system availability. Intacct’s financial accounting software runs in redundant Fortune 100-class data centers operated by Savvis in San Jose, California and by Herakles in Sacramento, California. Both data centers are monitored 24/7/365 and provide full data recovery within 24 hours along with the security designed to prevent unauthorized programs, systems, and users from gaining access or control of system processes, resources, and data. Intacct’s accounting software is built on the highly reliable Oracle database infrastructure. Intacct data center operations conducts full backups to multiple locations daily and continuous backups and secure streaming of transaction data to a remote disaster recovery center. All data transmissions have a minimum of 128-bit encryption. Easily define roles and permissions down to the individual user or group of users—to control access to data and functionality and to segregate duties. Customize access to applications, transactions, sub-ledgers, reports, fields, processes, and more. Important application security features found in Intacct’s SaaS accounting software solution are: 1) the ability to control user access, 2) the optional of 2-step user verification every time a user signs on through an unrecognized device, 3) required password changes, 4) automatic session timeouts, and 5) the option to set acceptable IP ranges from which users may log in. Intacct is SSAE 16 SOC1 Type II audited and PCI DSS certified.